The Dusters Stev Olson''s cruiser was designed on his own everyday board. Geared for bowls, the 9" wide shape features mild concave and some special Olson''s features like the pointy nose and the tapered in wings. 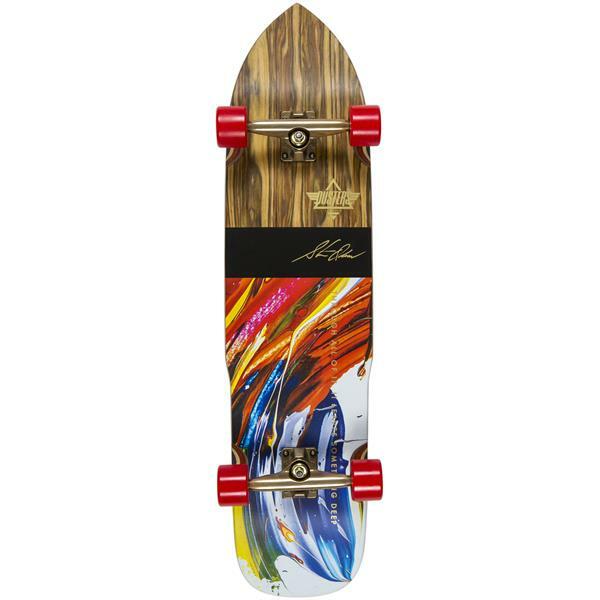 The longboard is an extended version of the cruiser for a more relaxed ride and features the softer 60mm Red Star-Trac wheel, exotic Apple-Wood and gold accents throughout the board. This board rides not only like a piece of art but will perform at the level of a true skateboarding legend, Steve Olson!